This is an older piece I wrote for True To Sound but why not put it up here again. It’s in the style of a more detailed track-by-track analysis…it might look like a boring piece to read but it certainly wasn’t tough writing – I could listen to LP4 over and over again. Anyway if you don’t like reading and maybe have the patience of a 12-year old I’d suggest just go and listen to this album if you already haven’t! Check it out here. LP4 is yet again an intriguing production by a band that has continued to experiment and push the boundaries of musical delivery. 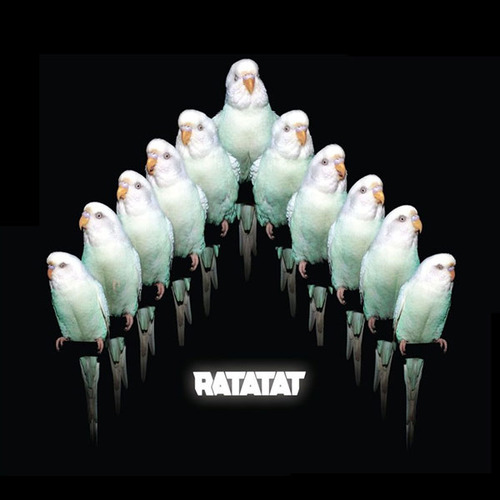 Ratatat (consisting of New Yorkers Mike Stroud and Evan Mast) combine subtle motifs with heavy guitar riffs, slow strings with heavy synth and fast paced electro, in an eclectic yet refreshing creation. These musicians have an amazing attention to detail that serves to create a well-produced “long-play”, rather than simply a collection of tracks arbitrarily grouped together. The coherence between the tracks creates a delicate and intricate album. Tranquil yet exciting, powerful yet subtle, the tracks on LP4 combine beautifully as a whole, and within each track itself. The articulate nature of the production shows through and makes listening simple and easy. LP4 begins solidly, dropping low and deep in the first track Bilar, continually bouncing back up to a curious start. One of the motifs of LP4 is set up in Bilar and continues throughout the album, tying together the individual tracks. In particular, the opening and finishing tracks, Bilar and Alps respectively, are quite similar, and this ties the tracks together. LP4 doesn’t stray wildly, rather, it moves forward with a respectable sense of swagger and confidence; a willingness to do its own thing while not looking around to see what everyone else is doing. Drugs is the second track on the album, and again implements a solid build-up. The unpredictability of sounds that you hear on this track typify the album, and even after many many listens, are still a joy to listen to. The introduction of each new sound is well timed; nothing seems either overwhelming or underwhelming in terms of straying and experimenting with sounds. It’s this same control of their pace that almost seems to give the listener time to absorb what they have just heard, having multiple build-ups in each track. Believe me, its not nearly enough time – multiple listens are a must! The genre-straddling, unique combinations of music that Ratatat produce and combine together, is their style. But that very elusive nature in terms of genre is refreshing and satisfying to listen to. Neckbrace is the first track to use vocals as a musical addition (instead of a short voiceover), and it is a compliment to the production level of Ratatat that although it’s the third track, their instrumental work holds its own – and continues to do so until the end. On We Can’t Be Stopped, you get the feeling that it could develop into something bigger, but this is the greatness of the album – the understated melodies in this track are perfectly counteracted with the vibrancy and colourful outburst in the following track Bob Gandhi. Deep reverberations, then a spark into enthusiasm and liveliness, with fast-paced drums in the background, typify the album, and work well together. The slowness of We Can’t Be Stopped contrasts well with guitar and synth-heavy tracks such as Drugs and Party With Children. Non-traditional instruments, particularly percussion, are what make this album stand out, and I was brought back to a childhood memory while listening to Bob Gandhi – the striking of the Guiro up and down, while subtle, certainly made me sit up and enjoy it. The inclusion of a string quartet in the recording of the album slow down the pace and create a pleasant interplay with the fast paced castanets and other percussion instruments. On Mandy deep low interjections seamlessly work with free flowing melodic synth guitar. Mahalo and Party With Children are melancholic and slow, yet playful and with a focus on heavy drums in the latter. The back and forth nature on Party With Children especially, most likely comes from Ratatat’s penchant for classical music, the way that each instrument or section of the orchestra plays with another, heavy on a particular motif. Grape Juice City shows Ratatat’s progressive nature; the audacity to include the sound of birds’ wings flapping, and birds tweeting, is impressive and they pull it off seamlessly. Alps, the final track on LP4, is one of my favourite tracks, and is certainly a strong finish. It is smooth and calm, and reasserts the motifs that were set up in the opening track. The mysterious slower section of the song, the warping and sliding effects, and the interplay of horns and keyboard, with occasional splashes of cymbals is more evidence of Ratatat’s channelled unpredictability. The diversity employed throughout the album is a welcome change to albums that often seem to only put forward a couple of strong singles, yet leave the rest of the album to be “filler” material. The pace of the track works well, and the eloquent strings at the end finish the album nicely. After every 8 bars or so, LP4 seems to change direction radically. Yet LP4 doesn’t stray wildly, rather, it moves forward with a respectable sense of swagger and confidence; a willingness to do its own thing while not looking around to see what everyone else is doing. This album in particular says that Ratatat, recent collaborators with hip-hop heavyweight Kid Cudi and show openers for Vampire Weekend, have an attitude that shows they are not afraid to produce what they like. Their individualistic sound is appreciable and the listener knows that they, along with undeniable kings of music and audacious producers such as Kanye West and the like, are delivering quality music that oozes their personality and musical talent. Ratatat seem unnerving in their willingness to produce music that strays from the well trodden path, without sounding too unusual that it is unlistenable. Ultimately the attitude that they have creates music that is refreshing and certainly worth listening to. Again, an amazing album, go buy it over at iTunes.